It is leafy vegetable. 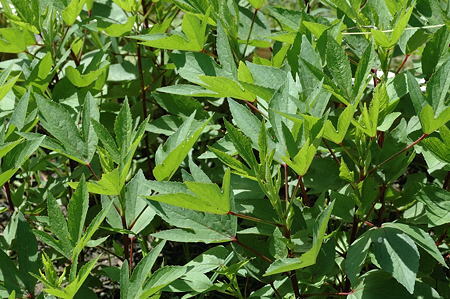 Gongura is very famous in India especially in Andhra Pradesh. The people from Southern part of India uses these leaves in many curries and making pickle. It is of sour taste. 1) It is good source of folate and vitamin B6. 2) They are rich in calcium, iron, vitamin C & A. 3) It increase hunger and gives taste to pallets. 1) Dry roast the seasame seeds in a pan till they get coloured, don't blacken any part. 2) Heat oil in a pan add sliced green chillies and roast them till brown colour then remove and keep a side. 3) Now add gongura leaves any fry them on medium flame around 10 mins . 5) Add seasame seeds to blender and take out its powder. 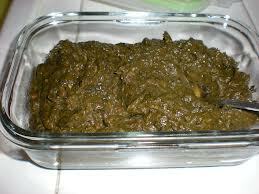 6) Now make a coarse paste of leaves . 7) Mix garlic, seasame seed powder, green chilli paste, and gongura paste in blender thoroughly. 1) Heat oil in pan, add mustard, fenugreek &cumin seeds , curry leaves and turmeric . 2) As they done switch off the stove and add the paste to it and mix well. Allow it to cool or keep a side for one or two days. Enjoy this recipe with hot rice.....!!! !